Hendrik was extremely knowledgeable, professional, and gave me a report that was beyond what I expected. He knows where to look to find possible issues and explained the different construction techniques so that future maintenance could be planned. Can't say enough good things! Thanks. We take pride in our ability to provide more than just a standard building inspection. Happy that you are more than satisfied. Home + WETT inspection done. Hendrik took pictures, recorded some videos and explained everything he was doing. He took shots of the roof (3 storey building), verify the attic and made sure to informe me about any concerns he'd have. Awesome service and competitive price! Danilo was a great guy to work with. He followed me around and asked many questions about the house. I'm glad he's happy about the service! WOW what service, the best inspection I've received. Very detailed, the report was custom, he provided lots of explanations, and gave me the report very fast! He was also cheaper then my last inspector and I can contact him anytime to ask him questions, which makes me and my wife feel at ease. The last home inspector just had those generic tick sheets and the pictures were a "big deal" and were not even sent unless requested. He was also $100 more expensive, so based on my experience I HIGHLY RECOMMEND Hendrick! You will not be disappointed! We got referred to A to Z Ottawa Home Inspections through our contact at mortgagebrokersottawa.com. Hendrik guided us through a thorough 3 hour inspection and identified a few issues including a defective HRV unit, a loose (and dangerous) Attic Hatch, and a deteriorating foundation platton that needed some maintenance (and more). Afterwords we received a Handwritten report and within a few hours a completed comprehensive PDF report by email. As a 1st time home buyer we were pleased with Hendrik's ability to explain the different home systems as we went through the home. We would definitely refer him to our friends and family! He is the go to guy for your home inspection needs!! We were referred to A to Z Ottawa Home Inspections through our contact at mortgagebrokersottawa.com. Hendrik guided us through a thorough 3 hour inspection and identified a few issues including a number of missing GFCI's, unfinished siding work, and missing caulking. Afterwords we received a printed report and a CD with the report and images. As a 1st time home buyer we were pleased with Hendrik's ability to explain the different home systems as we went through the home. We would definitely refer him to our friends and family! This is the second time we've hired Hendrik from A to Z Home Inspection and would definitely hire a 3rd time if need be. If you want someone that's thorough, talks you through everything, and finds all the problems, this is your guy. He has the thermal imaging device for any area that may seem suspicious and provides you with a dvd/pdf file afterwards of everything he's found. Would definitely recommend to everyone. Thanks Kindly for the review. This was a government relocation through Brookfield Relocation services. We are listed with them as AA to Z Home Inspections and meet all their criteria for doing a home inspection for their clients. 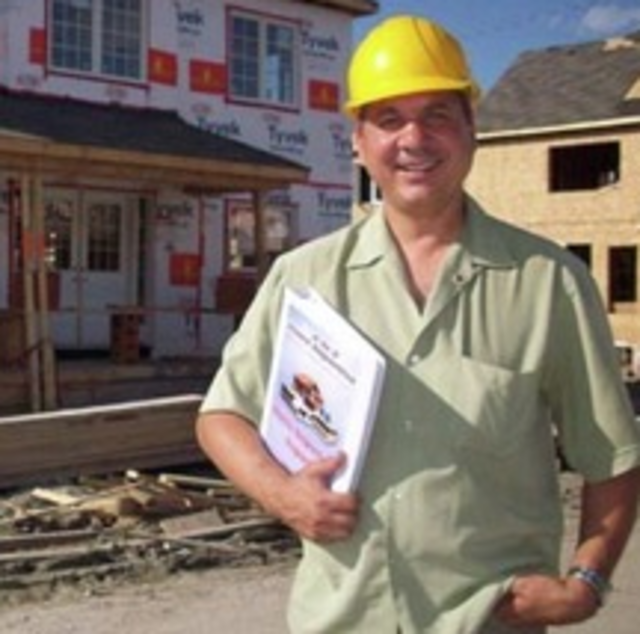 Insurance, qualifications, an Ontario Home Inspection Association membership, etc. Certified Master Inspector at A to Z Home Inspections provides a comprehensive Inspection that includes 2 to 4 hours of inspection time, Photos and Videos of Deficiencies, Appliances, Utilities, Furnace Water Tank, etc. We provide Thermal imaging of the basement and suspect areas included as part of your inspection for Air Leakage and Water intrusion. Buying a home with a wood burning appliance or fireplace. We also perform WETT inspections on Fireplaces, Wood stoves and Pellet Stoves. All performed by a Certified Master Inspector, former Natural Resources EcoEnergy Adviser and WETT Inspector at competitive rates. Relocating? We are also registered with Brookfield Relocation Service, US Inspect, and perform inspections for the Canada's Military Forces, RCMP, Revenue Canada, and other Government agencies. We look forward to serving you.